If there is one space where your clients will have a clear vision of what they want, it’s the kitchen. Remodeling the kitchen is more than just remodeling a place to cook. It’s the creation of a community space, where your client and their family can gather, share a meal, and create memories. ProSource® of Sarasota offers trade pros the materials and products they need to create beautiful kitchen spaces for their clients, while still saving them money. Cabinets can quickly become one of the costliest parts of a kitchen remodel, but ProSource is here to keep these prices low without giving up quality. 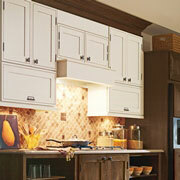 We offer trade pros a variety of cabinet brands. 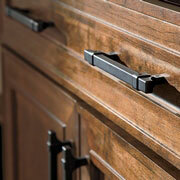 The hardware on your kitchen cabinetry helps to tie the aesthetics of your cabinets together. Knobs, pulls, and handles are all available in a wide variety of materials and finishes, ensuring that trade pros can provide their clients with a selection of truly customized kitchen cabinets. Without adequate work spaces, few people will find your kitchen comfortable or functional. Trade pros can meet with our countertop specialists to design a new countertop that can add to your client’s kitchen’s existing layout. 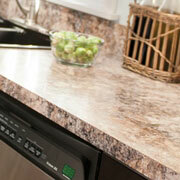 Choose from materials like granite, quartz, marble, and laminate to ensure your choice matches your client’s vision. 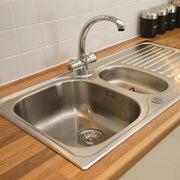 Modern kitchen sinks are offered in materials like stainless steel, marble, and of course, porcelain. With single-, double-, and triple-basin options in several mounting sizes, trade pros can find the perfect sink for any kitchen space. 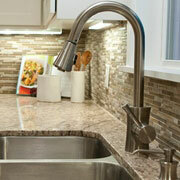 The faucet of your client’s kitchen sink should be as practical as it is elegant. More than just taps and handles, modern faucets offer innovative new accessories like pot and beverage filling spouts, and even temperature sensing options.